The London duo resume their rivalry tonight live on Sky Sports Box Office from 6pm. 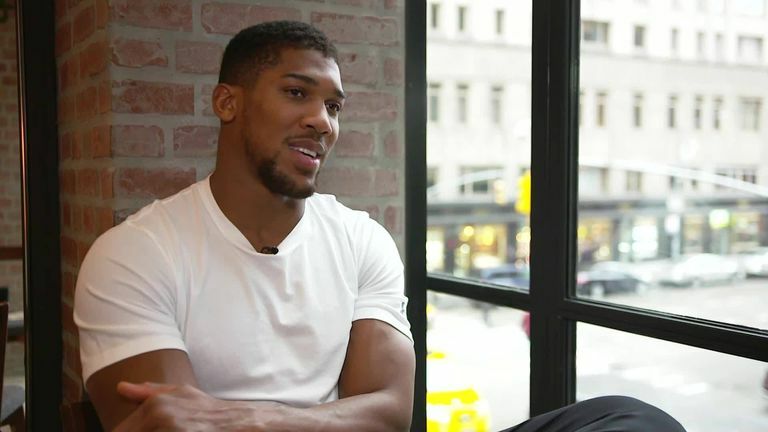 Ahead of Dillian Whyte's blockbuster rematch with Derek Chisora, we asked Anthony Joshua, Joseph Parker, Jarrell Miller and more to make their predictions. Two years on from their epic first battle, Whyte and Chisora will go at it again at The O2, live on Sky Sports Box Office, but will it be repeat or revenge? I think Derek is going to whoop Dillian. I want him to. Can it be as good, this time around? Yes, I think it will be better, in terms of boxing skill. I think they will be a little more cautious - they know what [each other] can do. They gave a lot and it took a lot of out them last time. They learned from the first one. They put a lot on the line. In this second one, they will refine their skills. It will be a lot more technical. When it sparks, it will go crazy because of that passion. They don't like each other. It all comes out in the ring. The first fight was a total war. They both thought they won the first fight, so they've got to be coming in with more drive, more motivation to put on a better performance and try and knock someone out. Hopefully, Whyte can take care of business and fights the fight that he wants, and then when he's ready, let's get it on. Hopefully [Whyte] can take care of business and fights the fight that he wants, and then when he's ready, let's get it on. All I know is, those two guys are going to have a great fight. They are two top contenders and one fell a little short of glory, but is on his way back. He's [Chisora] looking for redemption against the last fight. I had him winning the first fight, but Whyte was awarded the first fight. But Chisora has a chance to redeem himself and really get in the top five contenders, if he beats Dillian. I can't wait to see it. We've seen Chisora improve, we haven't seen much of Dillian Whyte's improvement. In my book, I still got it 50-50 in this fight because let's see what the judges see, but I think Chisora is in a lot better shape than the last fight. We've seen Chisora improve, we haven't seen much of Dillian Whyte's improvement. Once he starts to get hit, he constantly goes wild, and that wildness and wild style will favour Chisora. Dillian Whyte is still on a winning streak since being put to sleep by AJ. We're going to see. I give it 50-50 in my book. Dillian is the fresher man. He has far more boxing ability. If he can keep this a boxing match he will win it comprehensively on points. If he gets into a fight, it is near-on a 50-50. Dillian has to stick to the game plan and he will have a points win, or a late stoppage victory. If he gets into a fight, we will have another 'fight of the year' candidate and it's anyone's game. I see it being a very close fight as Chisora looks in the best shape of his career but Dillian is in great form at the moment and in touching distance of a world title shot. Chisora looks in the best shape of his career . I see him being that little bit fresher and winning by a unanimous points decision or even a late stoppage. It's a difficult one isn't it, because again Derek is coming off the biggest win of his career, which will have given him a massive boost. He's gone with David Haye, and he looks like he's prepared really well for the fight. Dillian has got major momentum and form, and he's fighting all-comers. Dillian has got major momentum and form, and he's fighting all-comers. He's took some good fights in the meantime when he could have just tread water. Dangerous fights on paper, and he's come through them all. He's got the momentum, but if you look at the last fight, it was even-stevens early on, it could have gone either way. Difficult to say, but if you put a gun to my head, I would have to say Whyte is probably the fresher of the two, and I think he might win a close points decision. It will be good because when you can have the same fight more than once, two or three times, it's like the old times. They're both boxers who like to fight and it is going to be the same as the first fight. I don't think it's possible Chisora wins because I know him well. Even if he beat me on that night when we fought, it will be the same result as last time. Chisora won't win. They fought well the first time, and I think, even if he beat me on that night when we fought, it will be the same result as last time. Chisora won't win.